Galerie Pierre Jean Meurisse, Toulouse. The work is registered at the Matta Archives under no. 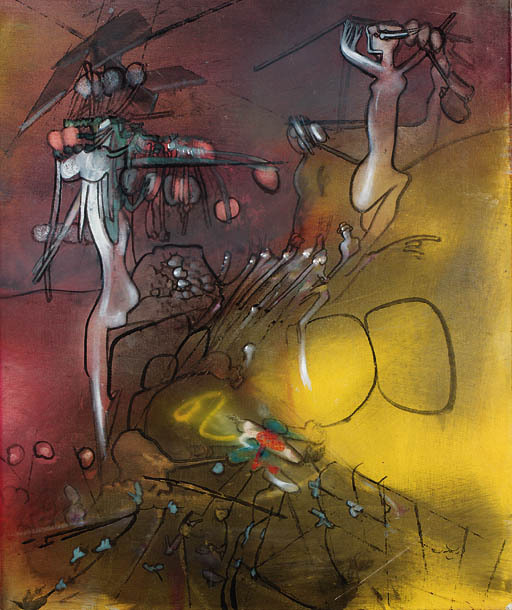 66/1009, and will be included in the forthcoming Matta catalogue raisonné being prepared by Mme Ferrari-Matta. Please note that the present was painted in 1966. It is registered at the Matta Archives under no. 66/109, and will be included in the forthcoming Matta catalogue raisonné being prepared by Mme Ferrari-Matta.